Developing good study habits is crucial to academic success. Not only does studying help students earn high marks on exams, but also it enables them to develop a more thorough understanding of a given subject. Here are some effective study tips to help students expand their knowledge and succeed academically. Identify your learning style. Everyone learns differently. The learning style that works for you may not work for someone else. Generally speaking, there are four types of learners: visual, auditory, read-write, and kinesthetic. Understand which type of learner you are and cater your study approach to best suit your needs. Maybe you learn best with visuals. Or, perhaps writing down what you’re reading helps you retain information best. Minimize distractions. Create a designated study space that’s free of noise and other distractions. 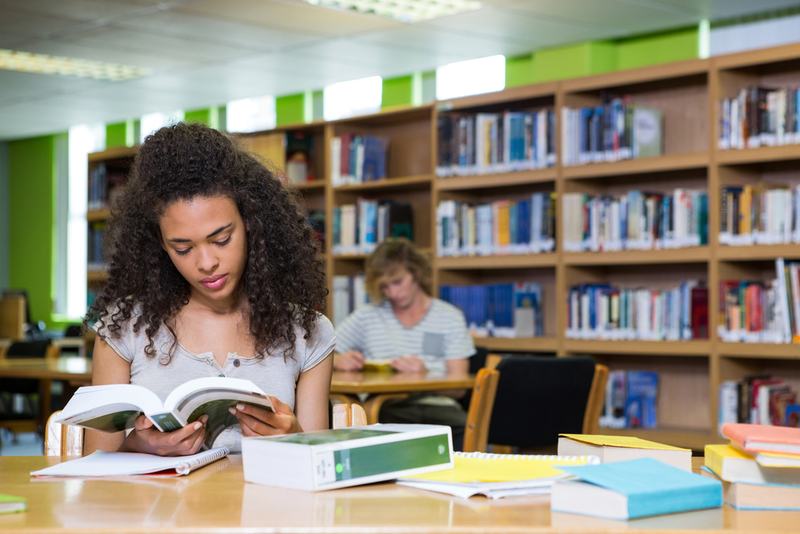 If you’re studying at school, pick a secluded area in the library where you can really focus. At home, choose a quiet room that’s closed off from the rest of the house and away from the common living spaces. Your room may be a good place to study if you have a desk. Studying in bed can result in you laying down and falling asleep. No matter where you study, avoid any distractions that can disrupt your focus, such as your phone and TV. Don’t procrastinate. When studying for an exam, many students make the mistake of procrastinating. Putting off your studies until the last minute and cramming the night before is not a good study practice. Cramming makes it difficult for your brain to retain all the information you are learning. Instead, study your coursework throughout the semester. In addition to your assignments, study your coursework a little every night. This will lessen your workload come exam time and ensure you’re really understanding and retaining the information. Ask questions. Reach out to your teachers if you have questions about any of the material you’re reviewing. Teachers are available to answer any questions you may have. Reaching out for help will also show your teacher that you’re dedicated to the class and really want to learn. Get a good night’s sleep. The night before a big test, make sure you get a full eight hours of sleep. While you may be tempted to stay up late studying, doing so will only hurt your chances of acing the test. Your brain needs to be well rested so you can remain focused and attentive at test time. To improve your grades and expand your knowledge, utilize these five study tips. For more helpful resources, visit our online school in PA.